Drunk Driving No Refusal Weekend. Safety Measure or Invasion of Privacy? Texas and several other states are instituting a "No Refusal Weekend" this holiday weekend. For those unfamiliar with the concept, a no refusal policy allows law enforcement to obtain a warrant to draw blood from suspected drunk drivers who refuse a breathalyzer test. While a blood sample is an accurate method for determing whether a driver is intoxictated, it may be a bridge too far. Law enforcement already has the power to arrest drivers suspected of drunk driving - even if they refuse a field sobriety and breathalyzer tests. Drivers arrested on suspicion of DUI in Texas face the loss of their driving privileges for 180 days and other fines and penalties. If the person is again arrested for suspicion of DUI within 10 years of the initial arrest, they face a 2 year suspension of driving privileges. 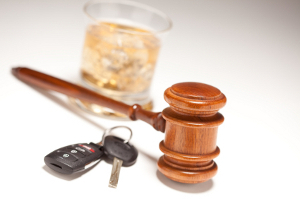 These are similar to the penalties for an actual conviction of DUI. Moreover, a suspicion of DUI arrest acheives the goal of removing suspected drunk drivers from the street before they can commit a harm to others. With law enforcement's ability to arrest drivers on suspicion of intoxication, the blood test seems unnecessary. If the goal is to protect public safey then the immediate remedy should be to remove suspected drunk drivers from the streets - not ensure a conviction in the courts. That's all the good a blood tests does; it provides solid evidence to the local district attorney. This is a slippery slope. If we allow law enforcement to take blood to test for intoxication, what's next? TexasGOPVote wishes everyone a safe and happy New Year!